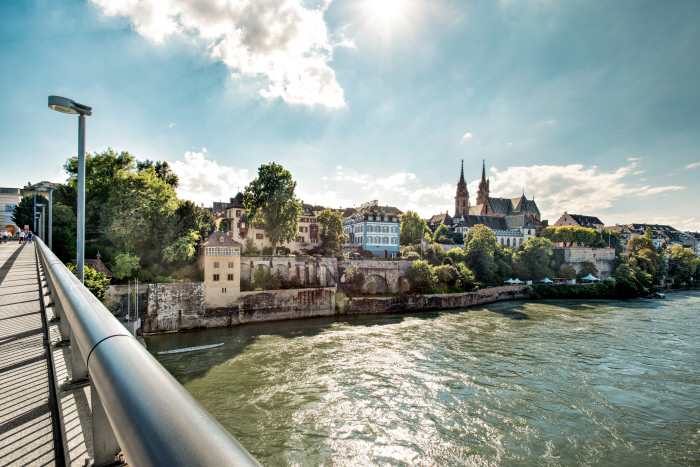 Is Basel, the art hub with culture unlimited, hot on the heels of Geneva in the race for weekend-break Travel Oscars? And is the city on the Rhine leading the charge of the land-of-milk-and-money up the global happiness leagues? Thriving banking, chemical and pharmaceutical industries generous patronage fills the galleries with the big names of the art world. But with the muscular Swiss Franc flying high visitors need to be budget savvy. ‘My first coffee back in Basel cost me more than I paid my maid for a week’s work in Mexico,’ a very stylish hotel exec confided. ‘But the bus from the airport costs less than an espresso,’ a frequent Basel weekender countered, ‘and it is in France.’ Basel-Mulhouse-Freiburg, the-airport-with-the-international-identity-crisis has bargain flights that compare very favourably with other European destinations. Cut out coffee at £4 a shot and don’t even think about a beer at £8 per half litre. Then with healthy asparagus, duck salads and pike perch on the menu you can complete the dietary detox. Of course, the best of times – January’s equestrian festival, February’s carnival, March’s Basel World watch-fest, the June art festival, July’s Tattoo and so on through October’s tennis tournament too – are also the worst of times for ramped up hotel rates. Find a slot between cultural events, sporting fixtures, trade fairs and international conferences to pick-up bargains. Such a cosmopolitan influx means English is spoken fluently everywhere. 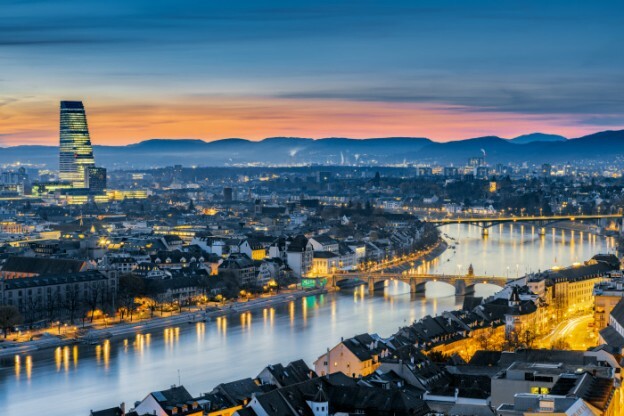 With a Basel Mobility Pass covering buses and trams, free with your hotel booking, valid for all of your day of departure, you have the freedom of the city. Joined-up thinking on public transport encourages half of Baselions to live without a car. Clean air, slightly chilled by distant mountain breezes, is just one of the benefits. ‘We have everything but the mountains,’ a waiter sighed, regretting Basel’s lack of a Heidi lifestyle. Criticisms that all Swiss buildings belong to the brown cuckoo-clock school of design have long been dismissed by Basel’s architectural prowess. You could walk one of the architectural trails, ticking off buildings designed by 12 of the Pritzker Prize winners. Alternatively – and the whole sole with spinach and rice makes it a tempting option – you could take lunch at the Volkhaus. Once a 1920s workers’ commune it is now an achingly cool brasserie/music venue following a make-over from architects Herzog and de Meuron. 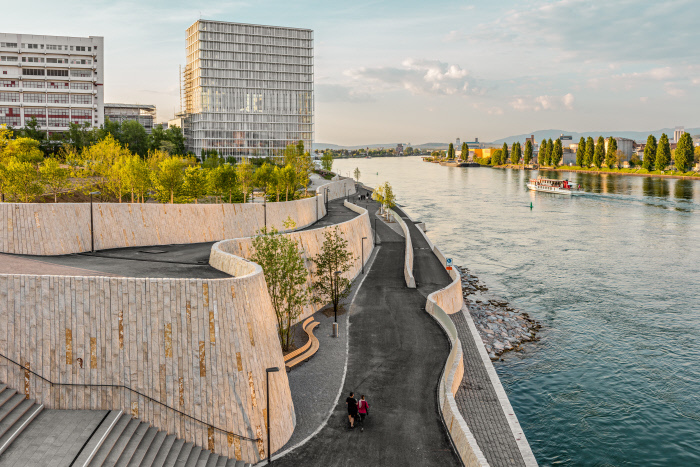 Is Basel merely Geneva without a lake? There’s no Mount Blanc view but Basel does have a remarkably well-preserved Old Town, a definite consequence of Switzerland not having gone to war since 1505. Previous generation’s selection of fast eroding red sandstone as their building material of choice keeps Basel scaffolding firms busy. “We don’t need another museum,” the city’s powers-that-be complained when the Fondation Beyeler, already overflowing with the works of Bacon, Cezanne, Degas, Giacometti, Mondrain, Monet, Picasso, Rothko and Van Gogh, planned to extend: fair comment from authorities already juggling 40 museums on their books. 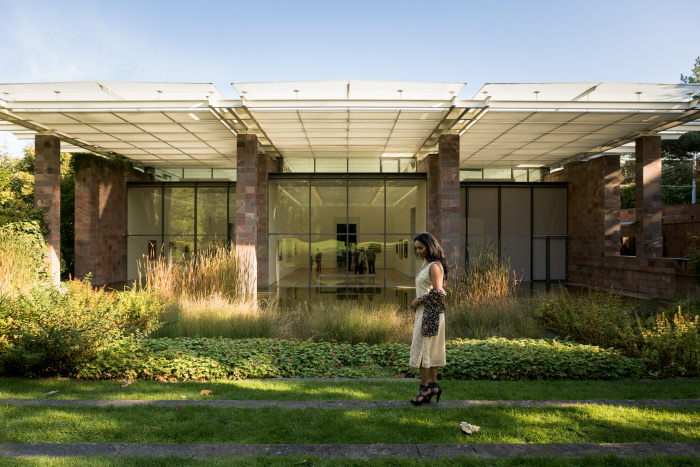 So, the Beyeler has slipped private finance into place. 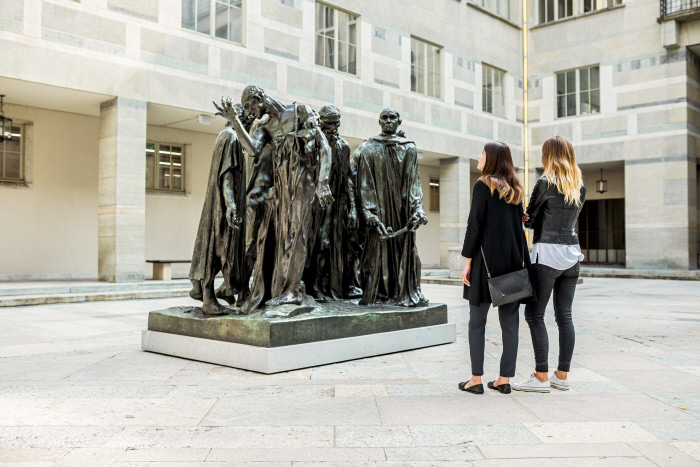 The Tinguely Museum, one of Basel’s top attractions alongside the recently extended Kunst and afore-mentioned Beyeler, is all the more charming for being out of step with Basel’s neat and functional psyche. Jean Tinguely, was an avant-garde rule breaker, a convicted motoring speedster, a creator of clanging, banging, moving sculptures made from mechanical junk. No surprise that this motoring racing fan, who kept a macabre sculpture of five veiled Formula 1 widows in his bedroom, had a troubled personal life. Suffering from cultural overload? Basel is the self-proclaimed king of Swiss football – just don’t mention Man City – and there’s ice-hockey too. But even the Sharks ice-hockey team seem to have been imbued with the spirits of culture and passivity, “We try to play a beautiful game, not brutal enough,” complained one despairing supporter. Arrive on a Friday morning and you will see that the Swiss predilection for punctuality and everything in its rightful place extends to taking a full hour for lunch. Come the evening the buvettes, the riverside bars, are buzzing rather than raucous with the Baselions discretely enjoying themselves in a reserved Roger Federer sort of way. Budget airlines fly to Basel-Mulhouse-Freiburg from Bristol, Birmingham, Edinburgh and Manchester. But London airports offering up to 8 flights daily tend to provide the best value. 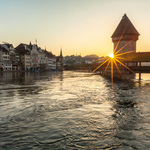 It is a 20 minute bus ride from Basel airport into the city centre.